Department of Environmental Protection Secretary Patrick McDonnell Wednesday toured habitat restoration projects undertaken by Wildlands Conservancy on Monocacy Creek in Bethlehem, Northampton County. Monocacy Creek is a valued cold-water fishery that feeds into the Lehigh River and is the subject of a health assessment by Wildlands Conservancy. 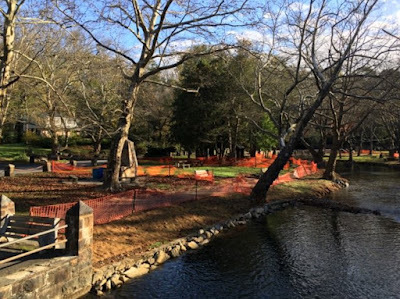 Improvements include stabilizing the bank by removing old railroad ties that had been pushed into the ground in the early 1900s to control erosion and flooding, and replacing several rock dams with modern structures to enhance aquatic life and improve fishing opportunities. The overall restoration also includes planting a native riparian vegetative buffer along the creek to reduce erosion and pollution runoff and enhance wildlife habitat. 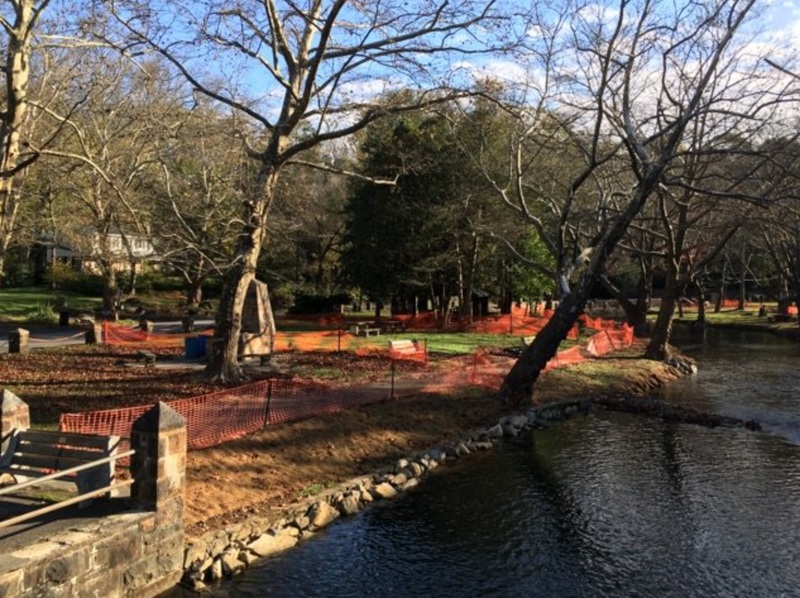 Funding for the work was provided through grants from both DEP’s Growing Greener fund and the Department of Community and Economic Development’s Watershed Restoration Protection Program funded by Act 13 drilling impact fees, totaling $400,000. Joining Secretary McDonnell on the tour was City Engineer Mike Waldron. Click Here for an overview of the project by the Wildlands Conservancy.